IVP wants me to work on another title for my book. 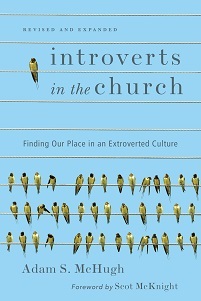 They think that "Introverted Church" does not convey what my book is actually about. When people asked me this week what my book is about, it was a little bit of a struggle. It's easier to say who it's for than what it's about. I would respond "It's for introverts trying to survive Christian community." I was surprised by how positive people were about my idea. I even met someone, who lives at a camp on an island, who reads my blog, through dial-up internet! 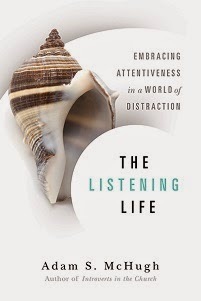 So I'm soliciting your help, gentle introverted readers, for book title suggestions. I would like it to either have introvert in the title or at least in the subtitle, so anyone who searches on introvert on amazon will access it easily. 3. What is an introvert? Straightforward. 5. Introverted Spirituality - how do I experience the spiritual life as an introvert? 6. Introverted Community - how do I fit into Christian community as an introvert? 8. Introverted Evangelism - I think you get it. Any ideas? I don't need a book title for a few months, so if you can't come up with one now, maybe you can think of one later. Thank you!